We have a lot of LEGO love over here at Inhabitots. Kids can be so creative and inventive with LEGO bricks, and we dig how interactive the little building pieces are (even as we curse them after finding them in the laundry or embedded in our tender feet). EverBlock System's modular plastic blocks just took all the things we love about building with LEGO and super- sized them! We think our afternoon building sessions are about to get a whole lot cooler and more realistic. The possibilities for these awesome LEGO-like blocks are literally endless. EverBlocks could be used functionally to create room dividers or even independently standing structures. Likewise, they can be used for playful ventures including dog houses, recreations of ancient pillars and buildings, forts, and barricades. Making furniture such as chairs, tables, and bookcases is another affordable option. You can take your building to the next level by adding cable lines into your EverBlock creations and illuminating them. The durable blocks even come with a UV inhibitor which means that you can take your building and constructing outside (which might be a good idea since your kids will probably literally not be able to stop playing with them if the blocks take up residence in their room or playroom). EverBlock makes several sizes of blocks, from quarter blocks to full blocks to finishing caps that create a smooth surface that creates a more polished look. They all fit together easily and use a pressure fit for a strong, secure connection — no glue or tools needed! The blocks are also water and chemical resistant, non-absorbent, and easy to clean. 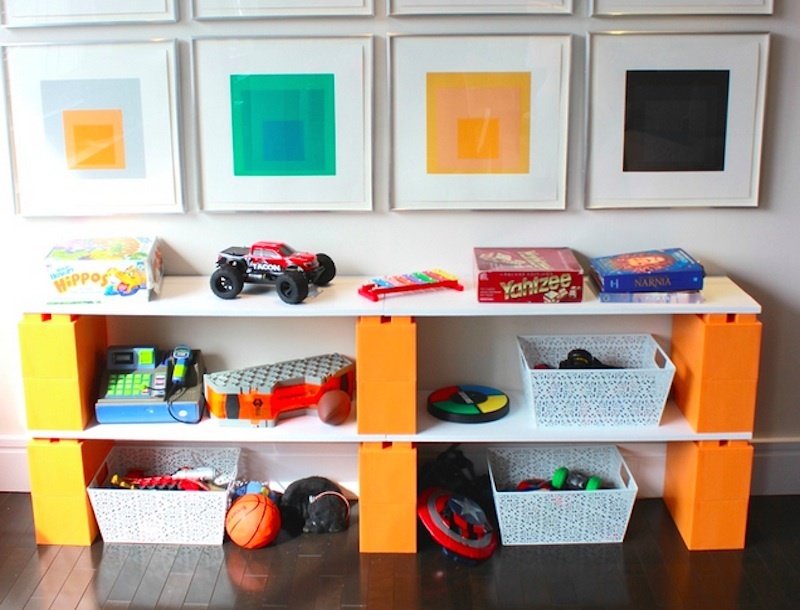 Currently, the blocks are available in fourteen different colors so you can go minimalist with one color or create a riotous rainbow of colors while constructing. The pieces can be taken apart and reassembled depending on your child’s fancy and you can clean up the blocks by simply stacking them — the bottoms of our feet just gave a sigh of relief. EverBlocks will allow your child’s creativity to come to life in an inventive new way. Founder and dad Arnon Rosan said that his kids are spending less time on the iPad playing Minecraft since they can make their own, life-sized versions with EverBlock! Sounds like a ringing endorsement to us. The possibilities for these awesome blocks are literally endless. EverBlocks could be used functionally to create room dividers or even independently standing structures. Likewise, they can be used for playful ventures including dog houses, recreations of ancient pillars and buildings, forts, and barricades. Making furniture such as chairs, tables, and bookcases is another affordable option.You can take your building to the next level by adding cable lines into your EverBlock creations and illuminating them. The durable blocks even come with a UV inhibitor which means that you can take your building and constructing outside (which might be a good idea since your kids will probably literally not be able to stop playing with them if the blocks take up residence in their room or playroom). EverBlock makes several sizes of blocks, from quarter blocks to full blocks to finishing caps that create a smooth surface that creates a more polished look. They all fit together easily and use a pressure fit for a strong, secure connection -- no glue or tools needed! The blocks are also water and chemical resistant, non-absorbent, and easy to clean. Currently, the blocks are available in fourteen different colors so you can go minimalist with one color or create a riotous rainbow of colors while constructing. The pieces can be taken apart and reassembled depending on your child's fancy and you can clean up the blocks by simply stacking them -- the bottoms of our feet just gave a sigh of relief. 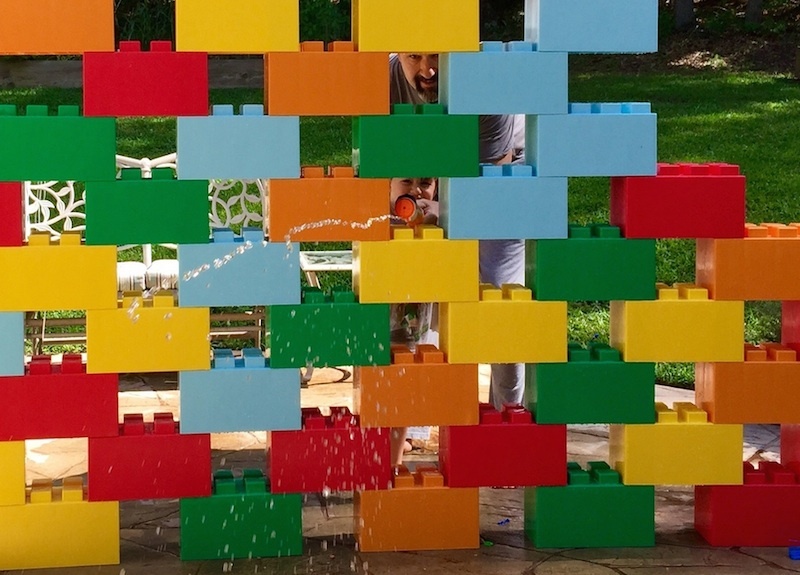 EverBlocks will allow your child's creativity to come to life in an inventive new way. Founder and dad Arnon Rosan said that his kids are spending less time on the iPad playing Minecraft since they can make their own, life-sized versions with EverBlocks! Sounds like a ringing endorsement to us.